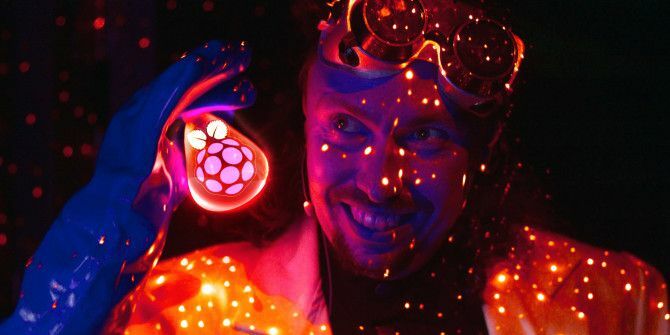 There’s a mad scientist within each of us, and the Raspberry Pi lets your inner loon come out and play. 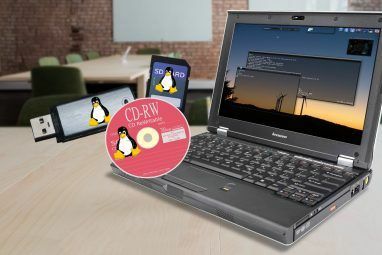 It’s capable of being used in a million different ways, like teaching kids to how to code 5 Exciting Activities for Kids to Learn Coding on a Raspberry Pi 5 Exciting Activities for Kids to Learn Coding on a Raspberry Pi One of the best gifts you can possibly give your child is an education in computer programming. Here’s five simple ways to teach your child how to code with the Raspberry Pi. 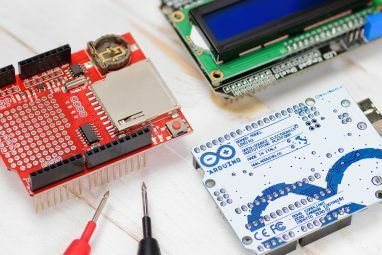 Read More or making wearable tech 5 Wearable Projects You Can Build With a Raspberry Pi 5 Wearable Projects You Can Build With a Raspberry Pi Have you ever thought about wearing your Raspberry Pi? Well no, of course you haven't. After all, you're perfectly normal. Read More . But sometimes, things get weird. Really weird. The $35 Raspberry Pi is one of the best tools for hobbyists. Once you get to know the Pi 9 Things You Wanted to Know About Raspberry Pi 9 Things You Wanted to Know About Raspberry Pi What is a "Raspberry Pi"? Who made it? What's the point? What can you do with it? Let's find answers for all the frequently asked questions about the Raspberry Pi. Read More and start playing with it, you’ll come across several strange projects. We’ve already seen the weird things people make with Arduino 12 of The Weirdest Arduino Projects Ever Made 12 of The Weirdest Arduino Projects Ever Made Read More , so let’s find out what insane concoctions they made with the Raspberry Pi. Every boy growing up dreams of having a bicycle that projects a movie on the ground behind it as they ride. No? What do you mean they don’t? You’re such a weirdo. Be normal and check out the Cycle Chaser. The faster you ride, the faster the animation will play. So if the animation you choose is Pac-Man eating a bunch of dots, then he’ll start wakka-wakka-ing more quickly as you pedal faster. The video is displayed from a battery-operated pico projector AAXA P4X Pico Pocket Projector Review and Giveaway AAXA P4X Pico Pocket Projector Review and Giveaway What if you could bring a projector with you, wherever you go, and easily display presentations, movies, and more with it? This $299 AAXA P4X Pico Pocket Projector attempts to make this possible. Read More , while a Raspberry Pi acts as the brains of the operation. You can even build this yourself by reading the instructions at Make. Who needs ink when the power of heat can make letters appear on piece of paper? One enterprising father, Wade Wegner, hooked up a thermal printer with a Raspberry Pi to pass messages to anyone who is in the kitchen. “Having three young kids, I thought of so many different ways the printer could be fun and useful (although, to be 100% honest, I haven’t found all that much utility in it yet, but it sure has been fun),” he wrote in his blog. The printer can be set up with daily weather scripts, a daily Sudoku puzzle, and even a Twitter mentions script. Why do this? Because you can. At a time when computers are becoming eco-friendly, you should do your part too. Some geeks at Robofun Create took that message to heart and decided to recycle their empty beer cans by turning them into a giant keyboard. That’s the usual letters and keys of a regular keyboard, mapped on forty beer cans. Touch a can to type that letter on the screen. An Arduino board and a Raspberry Pi do the job of mapping each can to the appropriate key. Yup, pretty sure they thought of this project while everyone was on their last drink. When connected to the Internet, the Raspberry Pi opens up a world of new possibilities. Redditor tylerjaywood decided to put his plant’s fate in the able hands of the demented minds at Reddit. He hooked up his watering system to a Raspberry Pi, which creates a new Reddit post every day. In the thread, users vote whether the plant would get watered that day or not. The votes are totalled at the end of the day, and action taken accordingly. And everyone can watch it all live through a webcam stream. It’s still on, and you can participate at the sub-Reddit. The repository for the PleaseTakeCareOfMyPlant project is available on GitHub in case you want to replicate it, you sick, plant-hating, torturous beast. For more of Reddit’s twisted sense of humor, check out the Internet Car Horn Prank. Make’s Lewis Callaway joined a Raspberry Pi to a car horn, and programmed it so that anyone on Reddit could blare the horn. Hide this little contraption in a friend’s car or apartment and watch their sanity spool ever so slowly, as they try to figure out where the sound is coming from and why someone would do this to them. Callaway estimates this takes half a day of work and less than $75 in parts. Apparently that’s a sensible deal when a crazy person wants to prank someone. The BeetBox is a musical instrument that plays drum beats when you touch a beet vegetable in a wooden box. GET IT? Beet. Beat. Haha. Here, go make your own. A Raspberry Pi and a capacitive touch sensor work behind the scenes to detect each touch. The custom Python script for Pi triggers a drum beat sample based on the touch. And an audio amplifier plays it out for everyone to hear. Princeton University should put this into their prospectus. The piano stairs are enough to make anyone in their right mind want to study there. It’s exactly what it sounds like: each step on a stair will sound a piano note! Each stair basically has a light-based “tripwire”, the makers say, made of a light source on one side and a photoresistor on the other. An Arduino reads the sensors and relays the value to a Raspberry Pi, which plays the sounds. You can replicate this on any stairs by following the Instructable. Ten bucks says you’ll be trying to replicate that iconic scene from Big by the end of it. The software engineers at PaperCut live in mortal fear of goofing up. Each code line is inspected several times before committing. For if they make a mistake, the Retaliation bot will hunt them down! This missile launcher is the enforcer in the PaperCut offices. Whenever the software build is broken, the Raspberry Pi and Python script will kick into action. The message is relayed to Retalation, a foam missile launcher, that won’t stop until it completes its mission. Beware, coders everywhere. Your bosses might soon have a new weapon in their arsenal. PaperCut has put Retaliation on Github for anyone to make it. It’s empirically proven that social networks affect self-esteem Facebook Makes You Sad, and "It Won't Happen to Me" is a Lie Facebook Makes You Sad, and "It Won't Happen to Me" is a Lie Facebook's potential as a trigger for depressive symptoms has been talked about in the past too, but this year has seen more of such studies than before. Here's what they say. Read More . So when someone tweets at you, reward yourself with a candy. What do you mean “why?”, this isn’t the time or the place for such questions. All you need is a Raspberry Pi, a servo motor, and an old cola bottle stuffed with M&Ms. David has detailed instructions on how to build this. You can set the Twitter Candy Bot to trigger based on a username or a hashtag, so it might just be of some use. But mostly, it’s just a fun, creative Twitter-based Pi project 10 Best Twitter Bot Projects for Raspberry Pi 10 Best Twitter Bot Projects for Raspberry Pi Read More . No, your eyes aren’t tricking you, you read the name right. There’s an actual device to repel doves, made with a Raspberry Pi and an owl decoy. Apparently doves are a huge problem in Buenos Aires, and are fearless too. To drive them away from his home, Roni Bandini made a wooden owl decoy into a smart dove repellent. It detects doves’ movements, which trigger the owl’s eyes to glow red and emit owl and hawk predator sounds. Doves are stupid. Fearless, but stupid. Show Us More Weird Pi Projects! Come on Internet, we know there are more weirdos out there. Like this guy who thought getting a new email should trigger a physical notification. 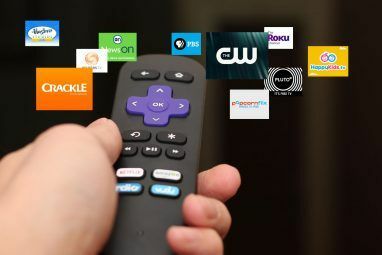 Because of course, the 10 different “dings” we already hear on various devices aren’t enough. Show us your worst, readers! Let us bask in all the Internet’s strange glory! Fortunately, I Found A ( **Hidden** ) Link That Solves The ( C ) Problem. B - The **Write A Comment** Link Does Not Work All The Time ( Without Refreshing The Page First ). ...I Do Mind That Articles Are Now Included In **Never Ending PageS** ( NEPS ) - A Recent Internet Hyped Scourge. I Do Really Hate ( NEPS ) With A Vengeance.